A while back I had young Mrs Tweed throw out a question on Twitter concerning socks. We don't ask many questions, admittedly, but I was expecting some forthright opinions. Socks need to be long enough to cover the calf. Socks have to be in a certain yarn. They need reinforcing here and there. Not too tight on the elastic. That sort of thing. Muted response to say the least. Maybe socks just don't inflame the passions as say a peaked lapel might. Or maybe people have better things to think about. Surely not? Well, as fastidious is what we do, we're going to press on and consider some of the big hitters in the hosiery industry. On the British side we're thinking of the likes of Pantherella and CORGI. Over on the continent we have the classic Italian names, Bresciani and Pope's sockmaker Gammarelli, and the French Mazarin. Not forgetting the German sock giant Falke (the Falke knee-high Number 6 is a good sock). Not names to be trifled with. So many socks, so little time. We might cover some or all of these sock makers eventually - we don't want to over sock you - but let's start with Pantherella. Come, let us take a journey into the world of the hosier. 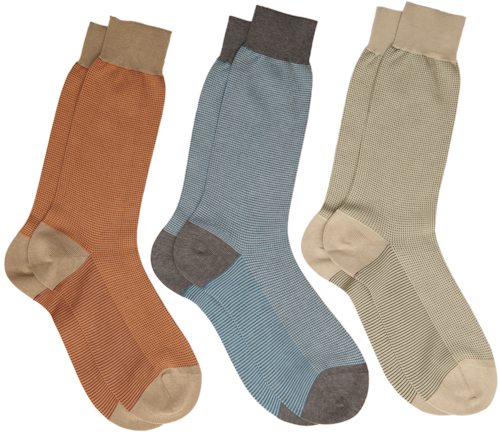 With over 125 years of sock-making experience, Pantherella has a reputation for making some of the world’s best socks. The company was founded in 1937 by Louis Goldschmidt and revolutionised lightweight hosiery for men. The original factory is still based in Leicester, England, and still uses British Bentley Komet machines from the 1950s, alongside more modern machinery, as well as employing hand-finishing to hand-link toes. The hand-linked toe produces an almost seamless join for extra comfort. 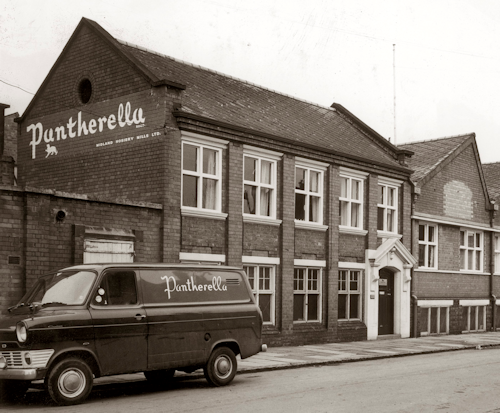 In 2001, Pantherella became part of the British hosiery company J.H. Hall, fifth-generation sock-makers. Tweedy's Stats: One goat will take a full year to produce the cashmere for just 3 pairs of socks. I have a couple of pairs of the cashmere socks and they're more robust than you would imagine. Thanks to the goats for the blissful comfort. Pantherella celebrate their 75th Anniversary this year with the launch of their Icon Collection, which reintroduces key designs from their archives. 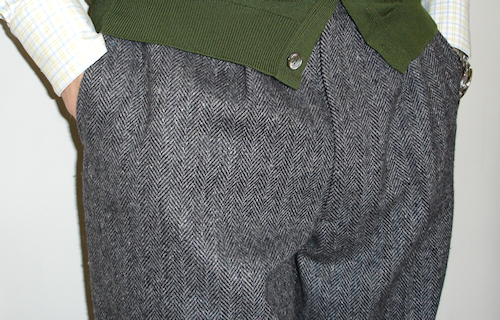 The Icon Collection includes Herringbone, Houndstooth Checks (below), Pin Dots, Retro Fair Isles and Patterned Ribs. If your shoes read this, they'll be urging you to re-stock your sock drawer and will love you for it. Tweedy's Thought: If only for the skinny-legged amongst us, it would be nice to see more longer-length socks. They stay up better. 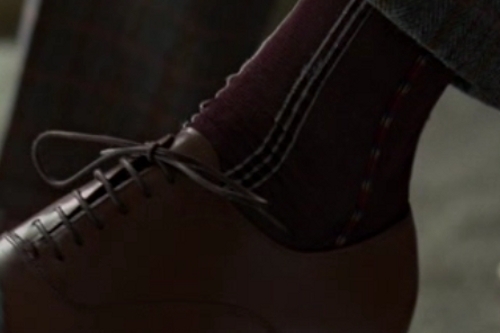 The alternative of sock suspenders is a bridge too far.